Did you know that Shincha is a kind of Sencha, but Sencha is not always Shincha?? “Sen” for Sencha means “to decoct” or “ to extract the essence”, and Sencha is the most popular tea in Japan. 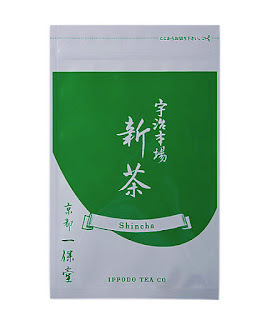 “Shin” for Shincha means “new” or “fresh”, so Shincha means new tea, which is spring tea produced by first flush. When we say Shincha, it almost always refers to “spring Sencha”, which means that Sencha produced by first flush. Shincha is especially characterized by a fresh and grassy aroma since they are made from the fresh and young buds and leaves. You can buy Sencha in all seasons of the year, but Shincha is found only in spring. Enjoy!